Power changes everything. Indulging in Critical Discourse Analysis tells you that. It is a study of how language and power are able to form realities in society and clearly, its influence had been spurring the political wheels and opinions of more or less, uncritical audience. For example, Cleopatra’s death. Cleopatra. 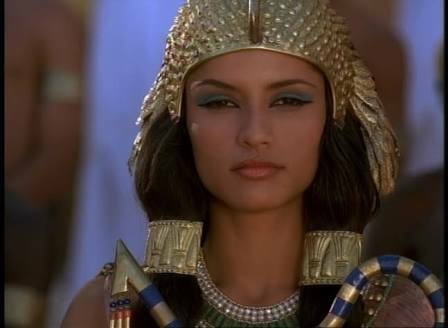 Yes, The Seductress, The Most Beautiful Woman In The World, The Prostitute Queen, Egypt’s Last Pharaoh. That Cleopatra. Just recently, I have had interest in her life and death and have planned to book a trip to Alexandria though no trace of her dynasty remains above the oceans but what is interesting is how no accurate record of Cleopatra’s death exists. Cleopatra killed herself through snake bite. At least that’s what the books would tell you. The Princess who first claimed to be the daughter of the Egyptian goddess Isis who later on claimed to be Isis herself, made an Asp bite her in the bosom so she could be directly transcended to the world of the gods. Octavian noted that it was just a matter of minutes when The Queen wrote him a suicide letter and him finding her dead. Or as Plutarch suggests, she could have had poisoned herself by ingesting liquid she kept in her hair emblems. 2. The poison would require at least a glass to be ingested in order to take effect in hours. That is too much to hide in your headdress, wouldn’t it? Gaps in the story? Definitely. And with Egypt’s known technology that time, it would have been ridiculous for them not to have discovered the fraud. 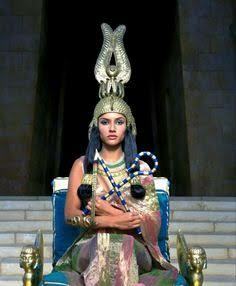 Character profiling would even tell you that it is not in Cleopatra’s character to kill herself. A woman who sees herself and her son with Julius Caesar ruling the world and doing everything in her power to achieve that vision, being the strategist she was, was not the kind of person who would resort to suicide during a defeat. A suicide note? No one plans to kill herself and broadcast it to the world. That would forfeit the purpose. Absurdity. But why had people accepted Octavian’s declaration that the Queen killed herself? Power. And the result? Potential lies in history books. It is sad that after all these years, Cleopatra’s tomb hasn’t been found yet. Coincidental? Or someone so intelligent back then could have predicted that the manner of death could be examined? I can’t wait until archeologists unearth The Queen and tell the world of how much power can distort reality and probably teach us that actual events do not come in dramatically and illogically, but is always, as in war, tragic.